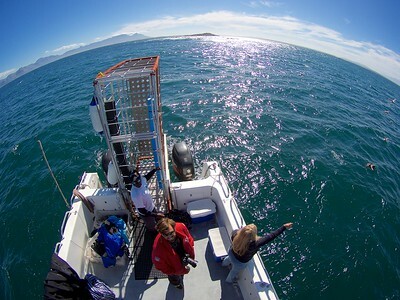 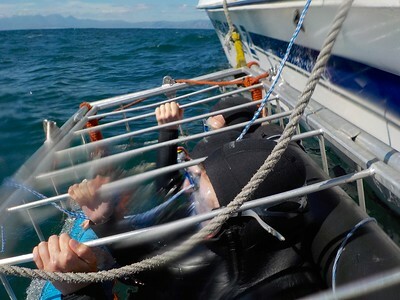 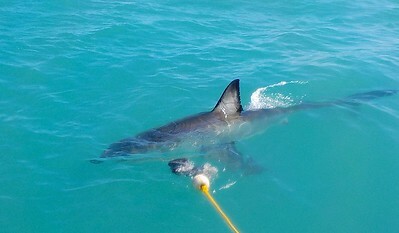 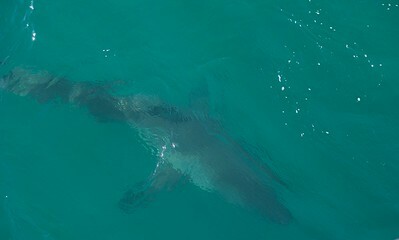 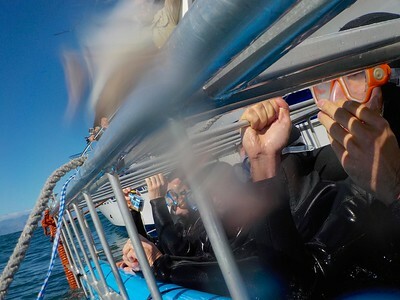 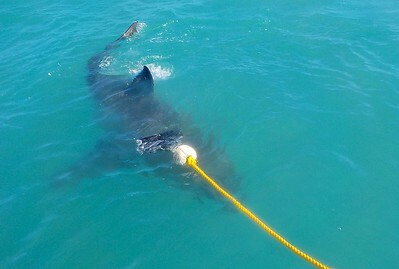 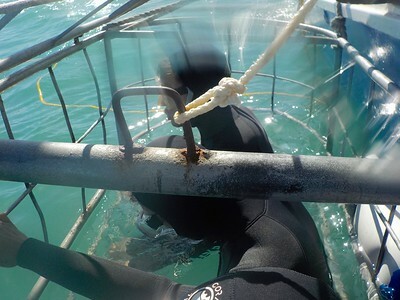 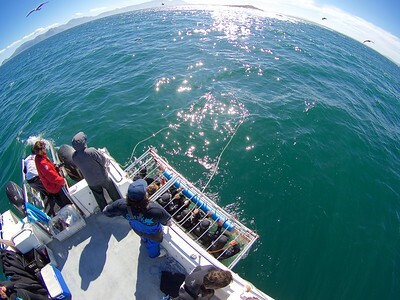 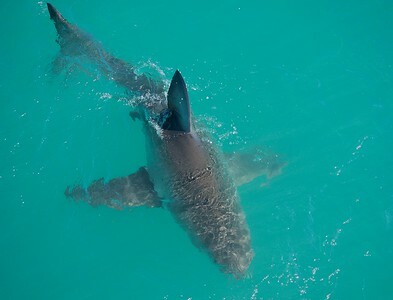 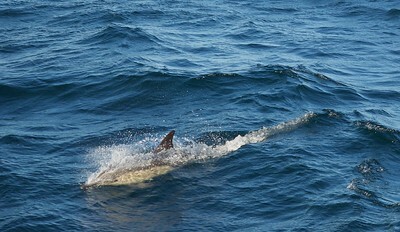 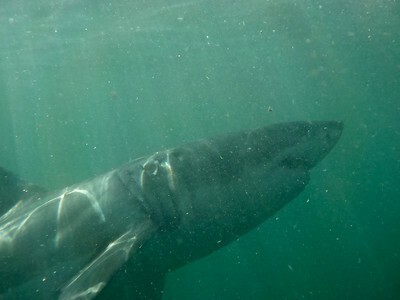 Great White Sharks, Whales, Dolphins, Seals, Penguins....just a taster from this Great White Shark Cage diving and Safari adventure. 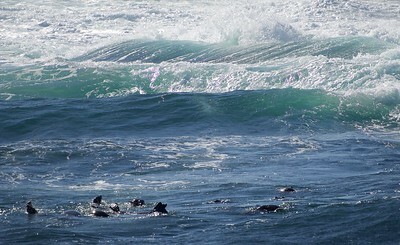 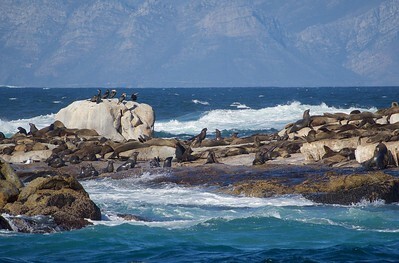 One of the most spectacular, diverse marine and land environments I have ever visited. 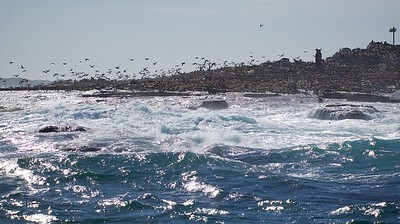 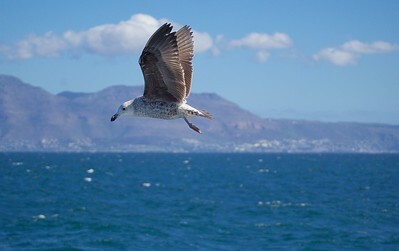 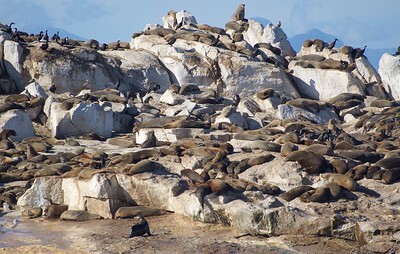 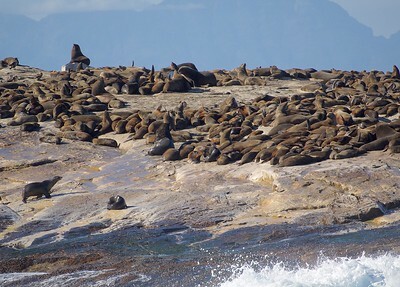 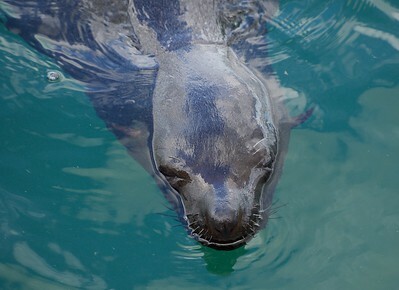 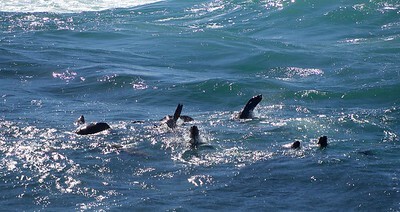 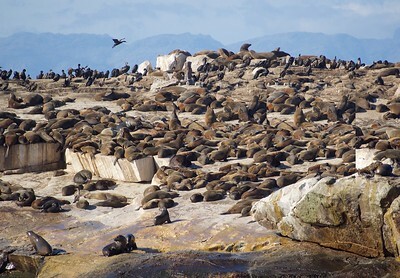 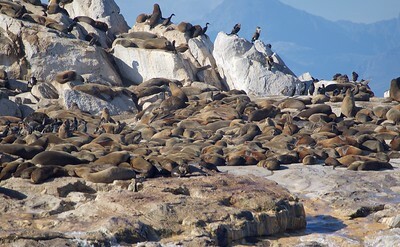 Cape Town, Cape Point, False Bay (Seal Island), Hermanus to Gansbaii pretty much captures every marine species you could ever wish to see on the south western coast of South Africa. 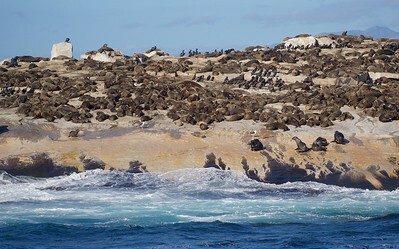 The reason why the marine life is so rich and diverse is due to an extraordinary food supply created by ocean current movement. 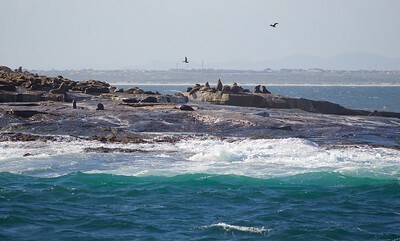 The warm Mocambique Current of the Indian Ocean travels down the eastern coast of South Africa from the equatorial regions and meets with the cold waters of the Atlantic's Benguela Current off Cape Agulhas (the most southerly point of the African continent). 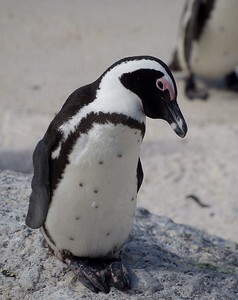 The Benguela current does not originate from Antarctic waters in the South Atlantic Ocean, but from upwelling of water from the cold depths of the Atlantic Ocean against the west coast of the continent. 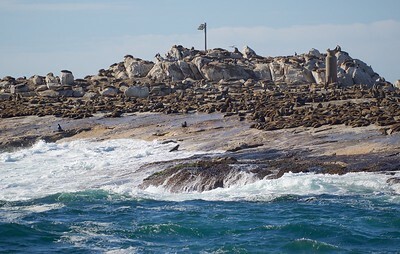 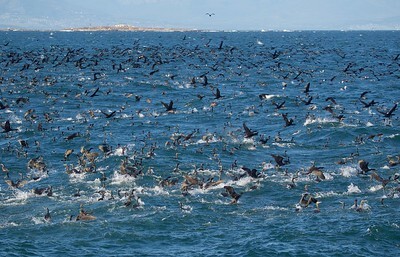 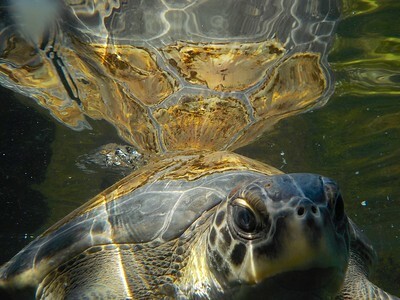 This unique environment creates a feeding station to the prolific abundance of sea life with rich biodiversity and sensitive ecology.